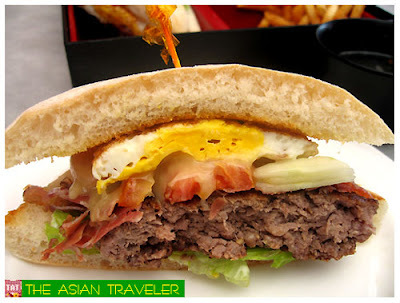 As a curious foodie, we've been so eager to try the much talked-about and most expensive burger in the Philippines, the "Wagyu Burger". We've visited Cebu City many times, but on a recent visit we made sure the "Wagyu dining experience" would be included in our itinerary. We kicked off the weekend at Hilton Cebu Resort & Spa Hotel, located at Mactan Island around 20-30 minutes away from the city proper. 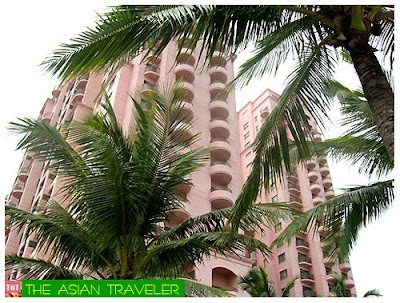 It is reckoned as one of the best four-star hotels in Cebu City with prominent triple pink structures and French-Mediterranean design. As we stepped into the unassuming large entrance of the hotel (before we realized it was a lobby bar), we asked one of the staff for info where we could have the wagyu burger. She told us that we could have it at Manny O's Restaurant, which was closed at that time. In frantic desperation, we asked her again if there was another restaurant in the hotel that serves this sandwich. We even told her in jest of how far we traveled just to taste this burger steak. 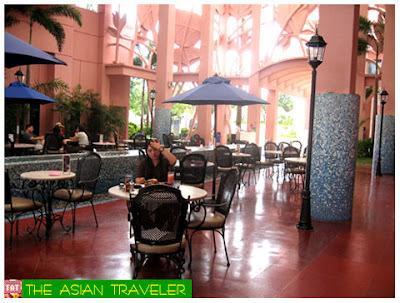 Luckily, she told us that we could also have it in the Pink Lobby Bar (to where we stood). As soon as we found the place to sit, we ordered the Wagyu Burger Steak Bento Php 1,375.00 ++ (around US$ 32.70++). 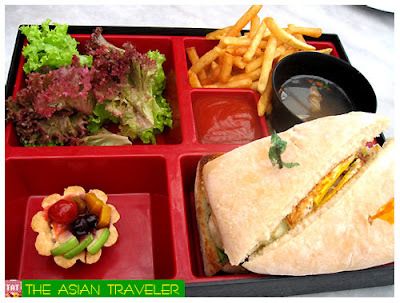 It comes in a bento box with Wagyu burger (which is made of Australian wagyu meat from vegetarian cows), soup, french fries, vegetable salad and dessert. The wagyu burger was great and it indeed FANTASTICALLY TENDER. It has a mouth-watering beefiness, excellent texture and succulent taste. It was expensive but it was worth every penny! 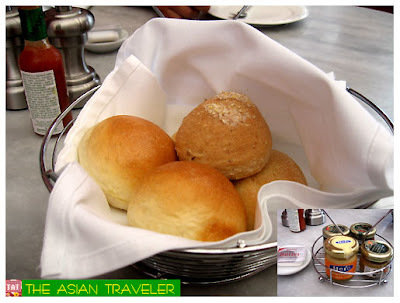 Our pleasant waitress took great care of us and offered complimentary good-tasting fresh breads with five choices of sandwich spreads while waiting for our main entry. 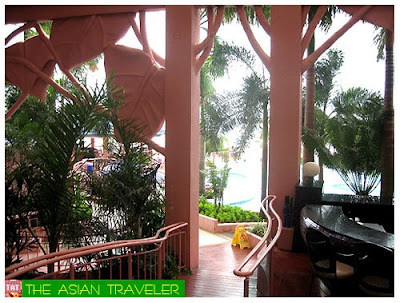 First thing I noticed about the Pink Lobby Bar was the living foliage and beach views, plus the cozy and breezy atmosphere that really impressed me. There are also a number of eateries in the hotel; one is the Sapphire Pool Bar, an outdoor infinity pool and shallow children's pool with sea views and a poolside bar. 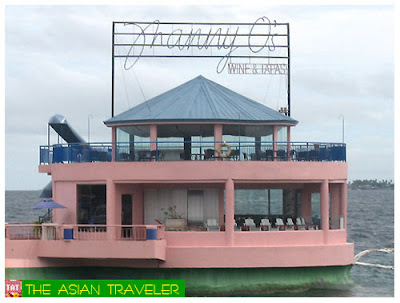 Another restaurant is Manny O's Wine and Tapa Restaurant, which is surrounded by sea and perched at the end of the wharf. 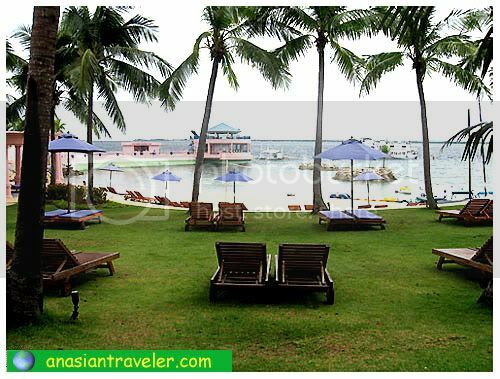 They also have a private beach where hotel guests can stretch out on a lounger and keep cool under a parasol or play volleyball and water sports. 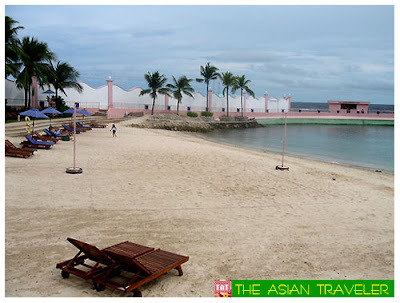 Hilton Cebu Resort and Spa is located at Punta Engano, Mactan Island, Cebu, Philippines. looks yummy! when is this? I think around April this year. wow! closer look at the hilton hotel cebu... when we were in the liberty shrine, all we did was just took a sight on it from afar. hehe. good that you actually experience the leisure. whew! when i came here in cebu and heard of wagyu burger i thought of giving it a try but never get the actual chance.. someday i will if i have mucho money na.. hehehe! Cool! 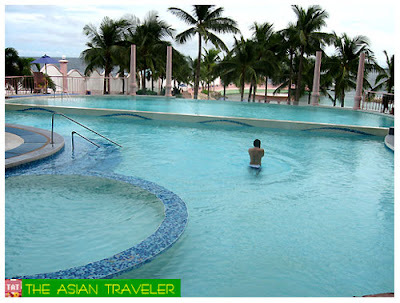 Post ur experiences at www.vacation-cebu.com! Don't forget ang pics!